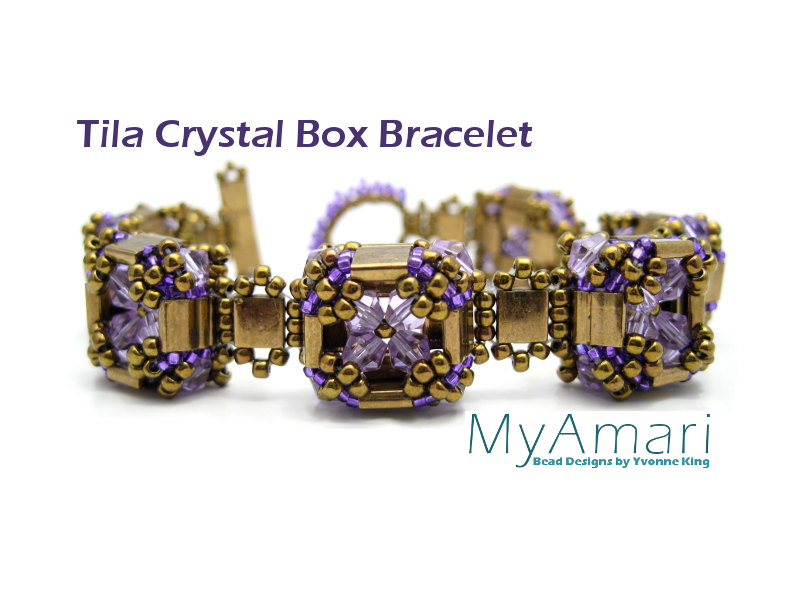 Learn how to bead weave this dimensional Tila Crystal Box bracelet! 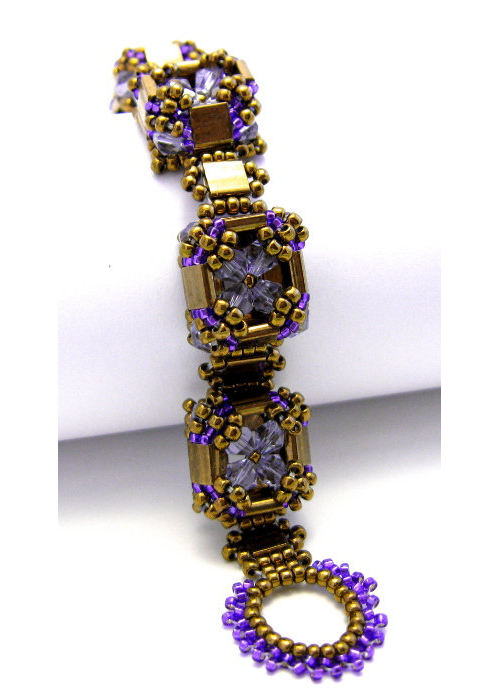 The tutorial includes over 100 detailed colored photos, a material list and step-by-step instructions on how to make this 1/2" wide by 7" long bronze and lavender bracelet and beaded tila clasp. Basic beadweaving skills are needed; knowledge of Net Weave and Ladder stitch will be helpful but not necessary.